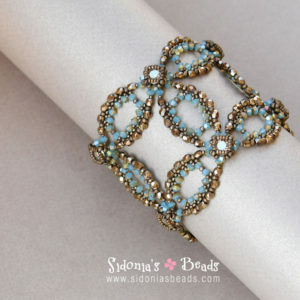 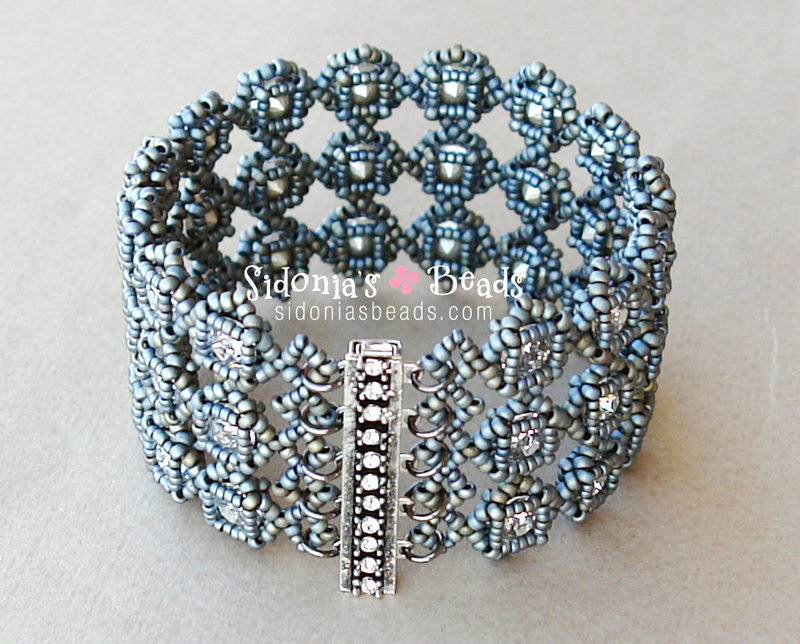 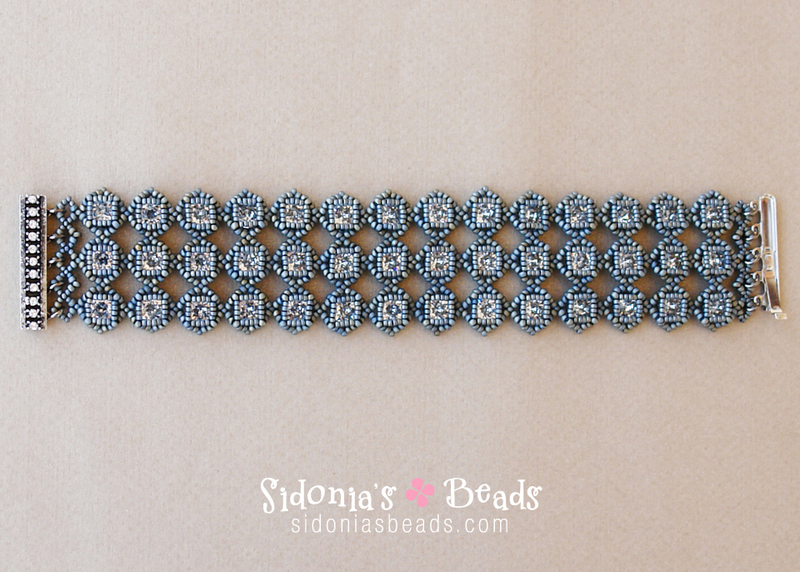 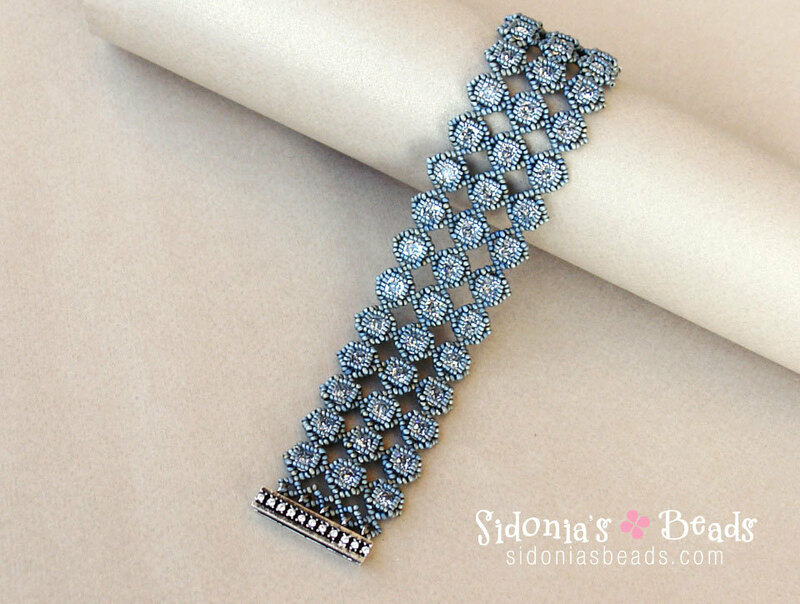 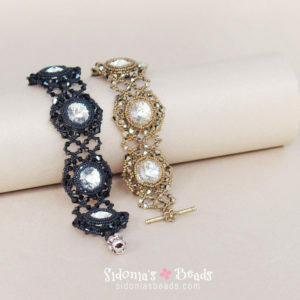 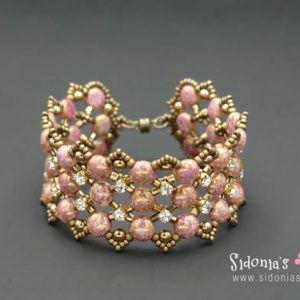 Seed beads and Swarovski crystals bracelet tutorial. The tutorial is suitable for intermediate beaders and on. 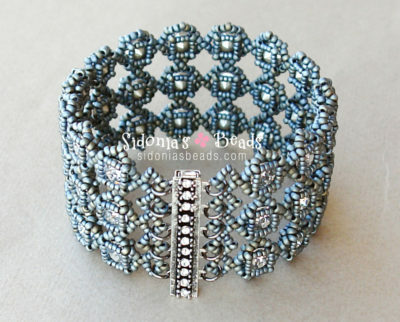 Instructions are clear and easy to follow. 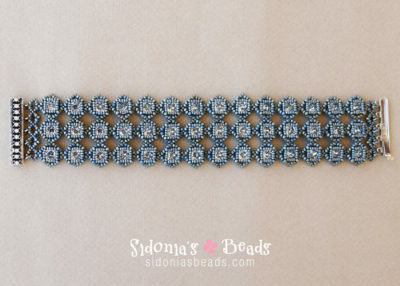 There are diagrams for each step to show you the pattern and also a few photos so you actually see how the beadwork looks at a certain point. 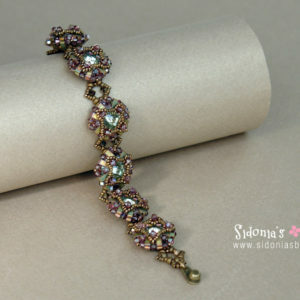 The bracelet is around 6.7 inches (around 17cm) long, without the jump rings and the clasp.